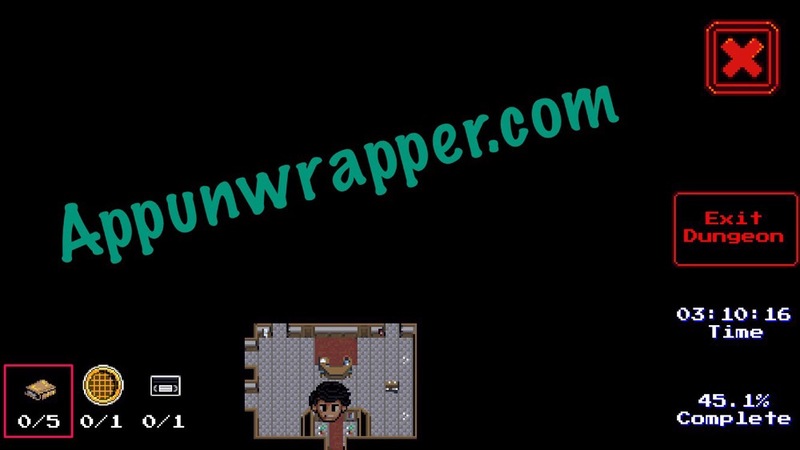 This is a complete 100% walkthrough guide with hints, tips and tricks for the iOS and Android game, Stranger Things: The Game by BonusXP. I’ve split the videos into chapters and listed all items found in each video. I’ve also included instructions how to beat each boss. I’ve listed all items I found and/or used in each chapter/video. I also made a comprehensive list of locations for all items and collectibles. Thanks to Angie Cortes for making this incredible map with pools, chests, gnomes and other item locations! – If something seems impossible, it’s likely because you’re either missing an item or a playable character. Different characters have unique abilities that help with solving puzzles, such as ranged attack. – Some things you’ll have to come back for when you have the right character in your team, like one that can break through walls. – Pummel regular enemies quickly, before they have a chance to attack you. – Use lasers to kill enemies immune to your attacks! – Break open containers for hearts and coins. See what else you can break! Each character can break different things. – Breaking some items will even give you a piece of a permanent extra heart container. If you see a number when you hit something, like “1 of 5,” look for more of that object and break all five. If you want an easy way to check which object to look for and how many you have left, open the map inside a dungeon. You can see your progress in the lower left corner. – Use the map to see where you’ve been and where you still need to go. – Unfortunately, there doesn’t seem to be any mission log, so pay attention to what characters tell you. If you miss where you need to go next, look at the map. There’s usually a marker. – Make sure to collect all VHS tapes to see a clip from season 2 of the TV show. – Save up your coins for things like the Aluminum Bat and quest items. Try not to waste them on things you can get easily from the environment. – The tentacles in the Upside Down can only be destroyed by those strange eggs. You need to hit/throw them so they land in position that when they explode, they’ll hit all the tentacles of a group at once (or within seconds). This might mean using more than one egg to get the job done. You can hit/move an egg three times and on the third hit the timer starts, so get out of its way! – If you get stuck missing a key card, I believe there’s one available at the Florist. Try leaving and buying that if you have no other way. – In the Upside Down areas that allow you to bring multiple characters (like the Bunker), notice that different characters throw the eggs different distances. For instance, Will throws them one space, Hopper throws them 2 spaces, and Nancy throws them 3 spaces, but only when she’s at full health. Found in Hawkins Lab in Chapter 1. Found in Forest Maze in Chapter 2. Found in Hawkins Middle School in Chapter 3. Found in the sewers in Chapter 4. Found in Hawkins Public Library in Chapter 5. Unlocked by collecting all 8 Eggo Waffles and opening the box in the forest. See here how to unlock her. Click on the little numbers below to continue to the walkthrough for Chapter 1 or click here. Thank you. I deleted your mailing but last night discovered this game is free! Totally free!! So thank you – I feel like Back to the Future with all these “retro” games, lol. I’ve only completed 2 chapters, but I’m trying to be very thorough in my videos, getting all collectibles, so hopefully I’ll be able to help you later if someone else can’t. I’m also keeping track of what I find in each video. Me too! And the 2nd gnome! The 7th eggo is in the Wheeler’s refrigerator, I dont know where that piece of heart is though. Thanks a lot, that was it ! I was sure I break all of thoses fridges. Now I just need that 13th piece of heart. If someone remember or wrote that somewhere. The 7th waffle can be found in the freezer of mikes house with the two stories. Towards the bottom left of the map with all of the houses. I’m stuck at 97% also, but I’m missing the 8th eggo. Where did you find it? 7th eggo is in the Wheeler’s fridge. the 7th waffle is in someone’s house in the main map i think. i’m stuck and i don’t know where to get the 8th waffles. I know the 7th one is in the Wheelers refrigerator. and i’m also having trouble finding the 3rd tape. pls help! Did yo find the egg behind the breakable wall in the grocery store? Unlocking Eleven was a pain. Now, I’m going through trying to 100% the game. The final balloon in the sewers is currently eluding me. I am having issues getting to the “monster” for Chapter 6. It is fenced in outside of the lab…how do I get in? 1 screen to the left of the fenced building, move the bear and enter through the small tunnel. How do you move the bears? Does a certain character have to be unlocked? I’m stuck! Get Dustin to feed it. Stuck at 99.3%, looking for the VHS number 5. Could anyone find it? How do you get pass the lasers in the library? Can’t find the Textbook, I’ve been wandering around the entire map for hours. Help? I can’t get through the sewer in chapter 4. Feel like I missed something and need a new character. I have Lucas, Nancy, and Mike, and cannot “steer” through the moving water. Help! Ok, stupid me!! Figured out how to stop the water, duh! But stop the top part of the square to get to the tool box and other box. Been through the entire sewer ( besides that part I can’t seem to get to. So I can’t get the egg or the last balloon! Please help! How do I get there? My kingdom for the 8th gnome! Did you have to go back to the school later for VHS 3? I couldn’t find it anywhere and was hoping maybe I need the character that can squeeze through pipes? Come back after you unlock Will (squeeze through pipes) and you can get the 3rd VHS. I went back to the school to find the third VHS. If I remember correctly you have to go to the right side of the school and find the pipe. Once you do, you switch to Will and you’ll be transferred to another room. As soon as you’re in that room you’ll see the vhs right away. I’m currently looking for the gnomes and the comments are helping so much! Hey man. I found gnome 12 on the far bottom right part of the map. The one with the caves. Let me know if you find Heart Pieces 13 and 36, and Gnome 2! Bumble: Bumble got lost hunting truffles after a hungry bear chased him away. I don’t know where Jonathan is, any help? Jonathan is south of the forest with the gate, in a little grove by himself, on the east end of the map. In chapter 1, the door to the Evil Scientist isn’t opening even though I’ve turned off all the lasers? Any ideas? Guys, where’s heart piece 8? Good idea! I’ll try to remember to do that for the rest of the videos. How do I defeat the tentacle hydra I’ve been stuck for like 20 minutes. Hit the eggs to release the top switch, hit the switch. Laser must hit the hydra. Beware each time you hit the hydra, gardes or monsters comes out. Hey. Is it possible to reset chapter 3 ?? I got stuck. I even died so that it will go back but it didn’t !! Not that I’m aware of. Why? Where are you stuck? The one where we have to push the cart so that it stops after hitting a thug. I killed them all. Now the cart I one space above it’s spot. I even got myself killed hoping that they would be back ! Are you sure there’s no other way to get the cart positioned right? If you beat up the cart enough, it should disappear and respawn where it started so you can try again. Only thing i need now is the 13th heart piece.. says im 98.6% done!! Same for me… Maybe is accessible with Eleven and the pools but can’t find where. How do I disable the video cameras in the library so they don’t see me? The pudding does not work and I can not hit them with anything. Help? There might be an extra key card in a shop if you want to leave the forest and look for it. I can’t find the piece of heart 13 and the gnomes 2 and 10… I really want the 100% of the game! Heart no.16 and i will complete the game help me pls !!! It’s in my third video at 13:55. Where can I find Tommy H?